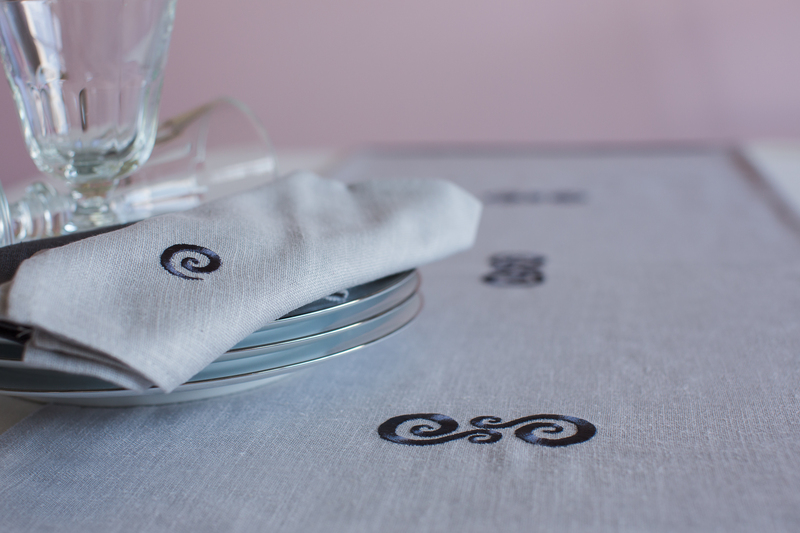 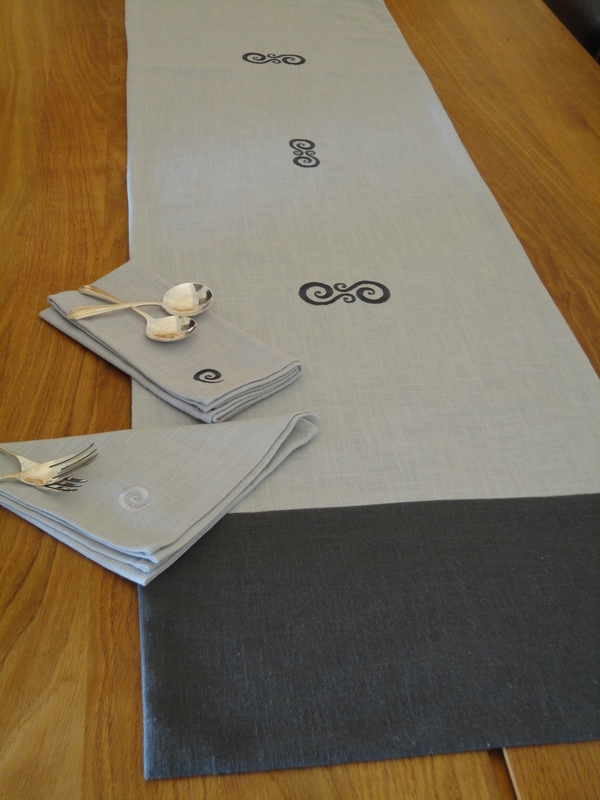 Home / The "Carrig" Table Linen Collection / Wedding Gift Set in The Carrig Collection, which includes table runner and napkins / Sold out. 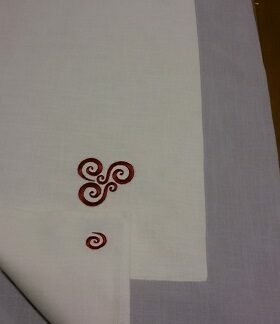 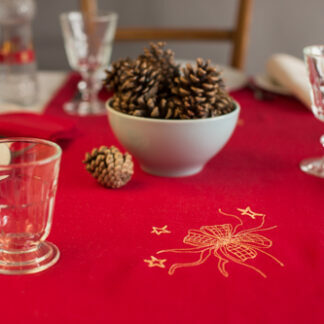 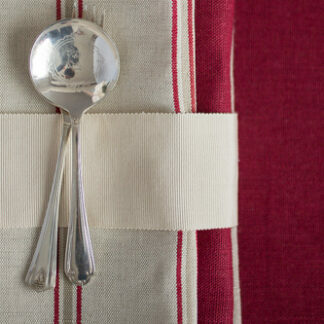 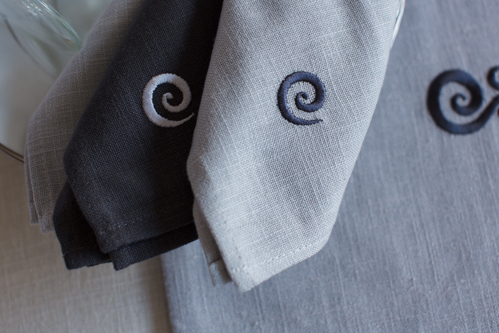 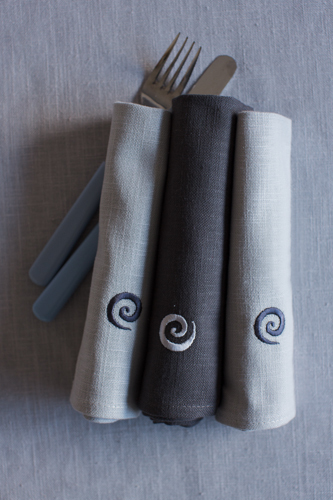 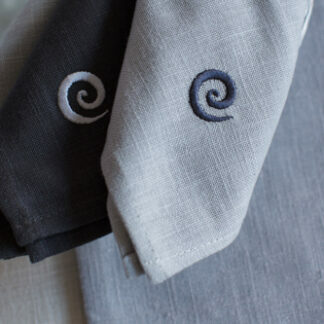 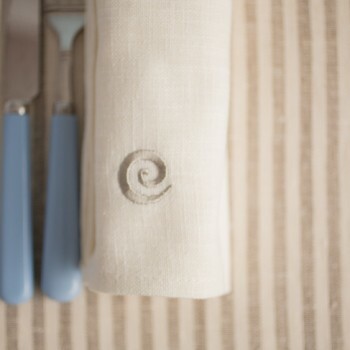 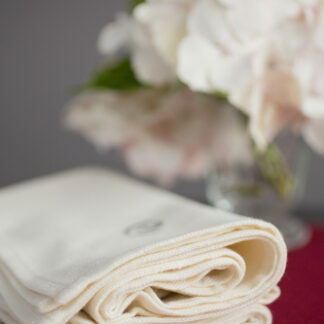 This table runner and napkins make a lovely wedding gift ! 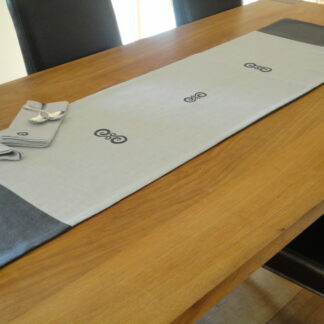 PLEASE NOTE THAT REVERSE SIDE IS GUNMETAL GREY. 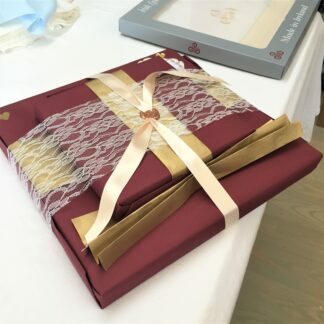 They will be boxed and gift wrapped for free. 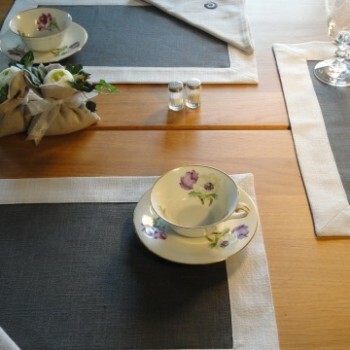 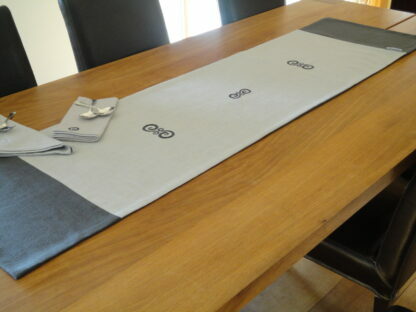 1 review for Wedding Gift Set in The Carrig Collection, which includes table runner and napkins / Sold out. 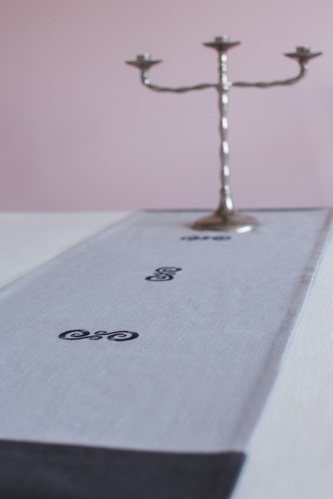 Christmas in Silver or Gold threads on Irish linen Wedding Pack from "The Carrig Collection" in cream/grey with motif , including 6 dinner napkins.